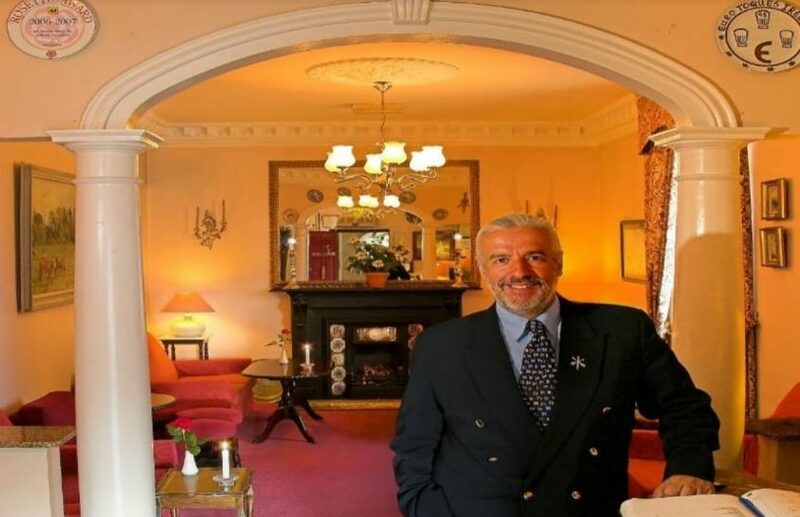 Terry McCoy, chef and proprietor of the Red Bank Restaurant in Skerries, Co. Dublin, has confirmed he is set to retire after over 55 years in the business. Terry, 74, started as a brekfast chef assistant in the Haven Hotel in Dunmore East in 1954. He was inspired by seeing the progresive cooking techniques in the former Russel Hotel. Periods with the Great Southern Hotels brought him all over Europe, including Germany, France and Switzerland, as well as a stint in North America. Terry has owned the Red Bank Restaurant since 1983 and has seen three recessions come and go in his time. Along with his late wife Margaret, Terry purchased the old Munster & Leinster Bank on Church St in Skerries and converted it into a restaurant. "Not many restaurants take over banks, but this take over survived 35 years," quipped Terry. The Red Bank restaurant specialised in fresh seafood landed at Skerries pier with many of Terry’s signature seafood dishes named after local fishermen, and Terry thanked and paid special tribute to the excellence of local fisherman and farmers whose produce was the backbone of his cuisine. In 1989 the McCoys expanded into an adjoining butcher’s shop and created an 18 bedroom, four star guesthouse which immediately created a synergy with the adjoining the restaurant which will hopefully continue as a source of business for the restaurant into the future. Terry will now concentrate on running the guesthouse, along with his son Ross. "My life’s experience has shown with enthusiasm in Ireland its possible to end up owning a catering business," said Terry. "I’m living proof of that." Terry cited a number of difficult trading factors contributing to his decision to retire, including the recent VAT and minimum wage increases, consistent rate rises, and spiralling insurance costs. The Red Bank Restaurant will be taken over by former Chapter 1 head chef Cathal Leonard along with his partner Sarah Ryan. Cathal, who hails from Rush, will bring his own array of recipes to the restaurant and will be renaming it Potager - as in kitchen garden. The new look restaurant will open in March 2019. All outstanding gift vouchers will be honoured at Potager.